The General Services Administration loaned the 18F organization as much as $30 million from the Acquisition Services Fund to get started, and it may not be paid back until 2019. GSA used money from the Acquisition Services Fund to set up the 18F organization back in 2014. GSA’s records, obtained under a Freedom of Information Act request, show it spent $700,000 in fiscal 2014 and planned to spend as much as $30 million from the ASF through fiscal 2016. 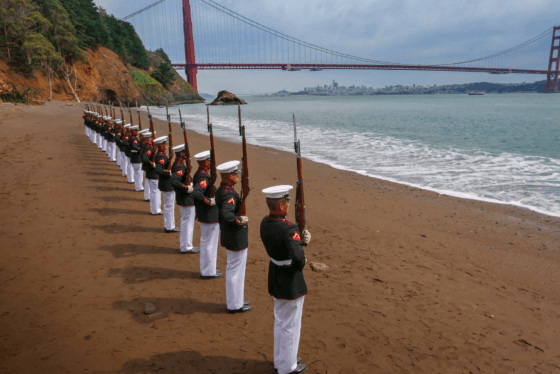 GSA can only tap into the Acquisition Services Fund, which comes from fees other agencies pay to GSA to use the schedule contracts, the assisted acquisition services and for other governmentwide services, on a cost-reimbursable basis, meaning 18F must pay the money back to the fund. But a new draft Government Accountability Office report, scheduled to be part of testimony before the House Oversight and Government Reform Committee on June 10, details 18F’s financial struggles. The testimony of David Powner, GAO’s director of IT issues, which Federal News Radio obtained, says 18F spent $8.6 million in 2014 without generating any revenue, and then spent another $31.7 million and generated $22.2 million in revenue in 2015, for a loss of about $9 million. “18F plans to generate revenue that meets or exceeds operating expenses and cost of goods sold beginning in fiscal year 2019,” Powner’s testimony states. 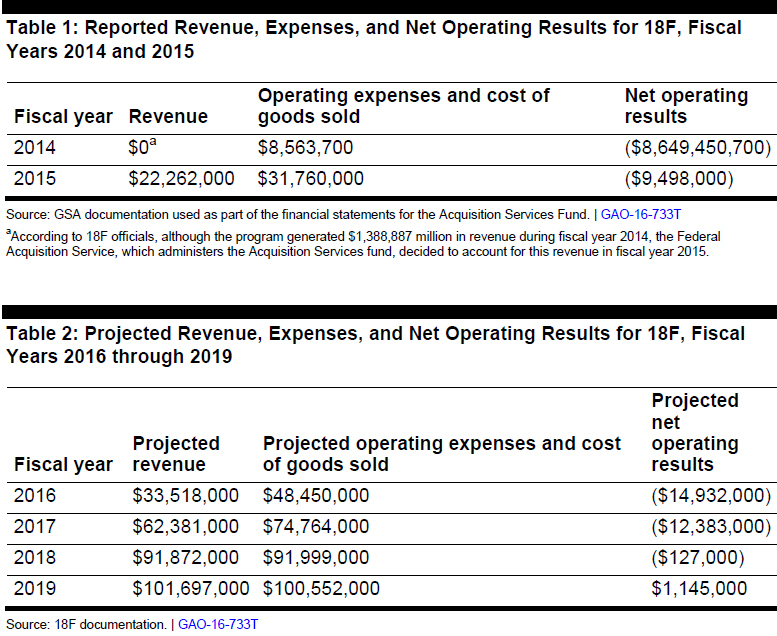 GAO says 18F estimates its revenues will fall short of its operating expenses by $14.9 million in 2016, $12.3 million in 2017, and $127,000 by 2018. By 2019, 18F says it expects to bring in more revenue than it spends, by about $1.1 million. With these losses over the next three years, 18F will struggle to pay back the ASF, which it is required to do under the GSA Modernization Act of 2006. NextGov first reported 18F’s financial struggles. GAO’s findings on 18F’s financial challenges comes on the heels of GSA announcing its creating a third service — the Technology Transformation Service that will include 18F among other existing organizations. GSA Administrator Denise Turner Roth said recently that TTS will build on the existing cost structure of the current organizations. Despite the financial woes, 18F is receiving good reviews on the benefits it brings. GAO says between March 2014 and August 2015 18F helped 18 agencies with 32 projects, ranging from development of custom software to training about agile or iterative development to acquisition services consulting. Auditors surveyed 18F customers and found most were satisfied with the services. The average score for services provided by 18F was 4.38 out of 5, GAO stated. GAO recommended 18F improve its performance measures that are tied to cost recovery. “Further, by delaying the date for when it projects to fully recover its costs and not having associated performance measures, 18F is at risk of not having the information necessary for GSA leadership to determine whether to continue using the Acquisition Services Fund for 18F operations,” auditors state.